Rep. Frank Pallone, Jr., speaks during a hearing of the Committee on Energy and Commerce, Subcommittee on Oversight and Investigations, on Capitol Hill, Tuesday, May 8, 2018 in Washington. House Democrats are working to keep a flame to Facebook’s feet ahead of the company’s anticipated responses to lingering concerns over the handling of user data, as well its ongoing efforts to weed out foreign-bought political ads targeting American voters. Facebook is still rounding up answers to thousands of questions stemming from exchanges with lawmakers this spring; many of which were submitted in direct response to CEO Mark Zuckerberg’s April testimony before the House Energy and Commerce Committee. But Hill staffers also point to other questions raised by lawmakers of which Facebook executives learned in advance; at a late-March bipartisan briefing, for example. The principal subject of that closed-door discussion, Gizmodo learned, was whether Facebook was actively monitoring third-party apps to detect Cambridge-Analytica-like abuse and whether Facebook could provide specific details of internal audits designed to detect it. “Mr. 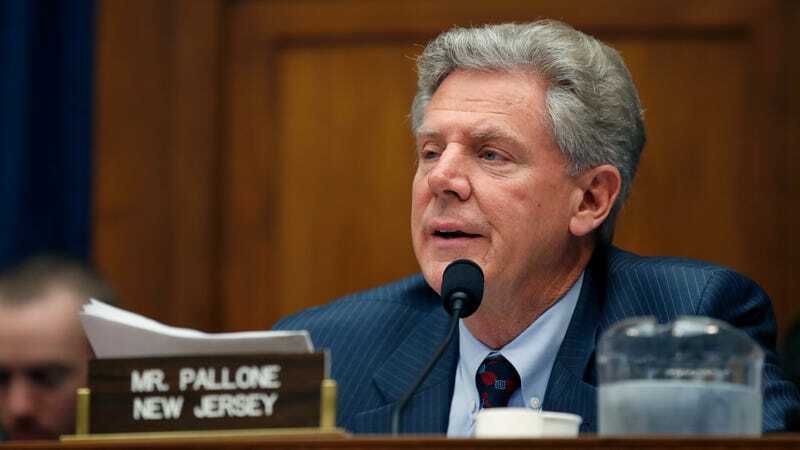 Zuckerberg has thus far failed to ‘follow-up’ on the many questions he couldn’t answer during the hearing, and Facebook has not yet responded to many other questions staff asked at a briefing held two weeks prior to the public Committee hearing,” New Jersey Rep. Frank Pallone, Jr., ranking Democrat on Energy & Commerce, said in statement. The Senate committees’ other leaders—Senators Bill Nelson, Chuck Grassley, and Dianne Feinstein—did not respond to a request for comment regarding Facebook’s more than 450 pages of answers, many of which—such as responses to numerous questions about Facebook’s controversial VPN service, Onavo—were entirely duplicative.